For hundreds of years, the proud Clan Finnoul ruled over the moors and forests of northern Caer Kainen. In the wake of the Bane War, they bent the knee to the Morrigan, and were left to a land mired in misery and death. Now, a new curse has found them. A terrible apparition haunts the shores of Loch Finnere and stalks the cold halls of Keep Finnoul. A shadow of a grieving woman has marked the surviving members of the Finnoul family for her vengeance. Already three Finnouls have died under the ghost’s dire foretellings—and it’s only a matter of time before the Banshee of Loch Finnere claims another victim. 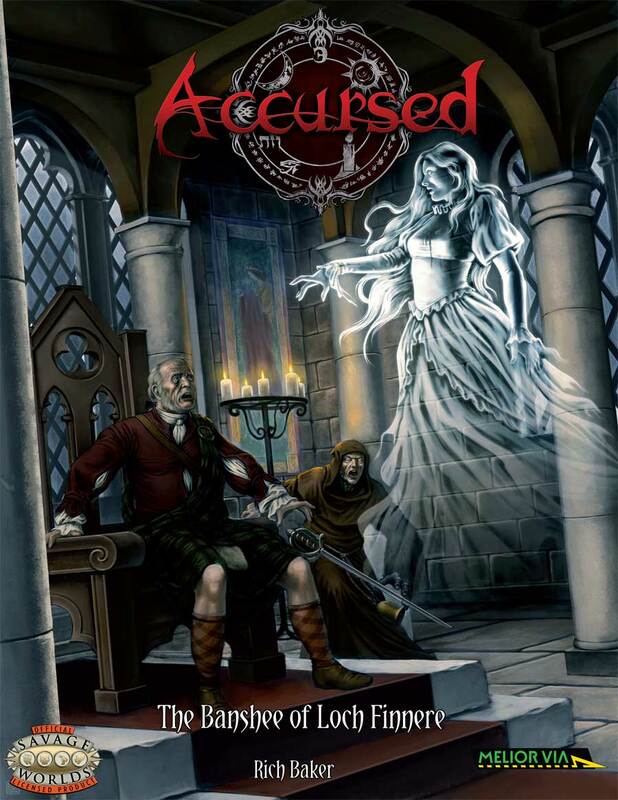 The Banshee of Loch Finnere is a full length adventure for a band of Witchmarked heroes in the Accursed game setting. The adventure may be played as a standalone, or it may be used with the Plot Point Campaign included in Accursed. The adventure follows a three act structure, while also providing details on the Loch Finnere region and its peoples in Northern Cairn Kainen. It includes necessary game mechanics and opportunity for tasks that can be resolved in a variety of ways. New banes are also included, which have not been previously presented in Accursed. 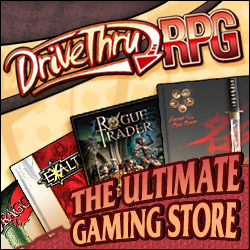 The PDF is currently available from DriveThruRPG for $6.